Key documents are posted for information and downloads. Documents can be used in trainings and further materials, but should reference TOPPS. Best Management Practices are practical and consistent recommendations to follow in order to reduce pesticide runoff following the use of Plant Protection Products (PPPs). Materials can be downloaded in various languages. BMPs are targeted mainly at advisors but also at farmers and other stakeholders. TOPPS – flyers are condensed recommendations with pictograms and a small amount of text. They are targeted to advisors / farmers to create awareness about water protection. Flyers can be ordered from your local Crop Protection Association. Topps-courses are intended to be used by advisors in their farmers / operators meetings. 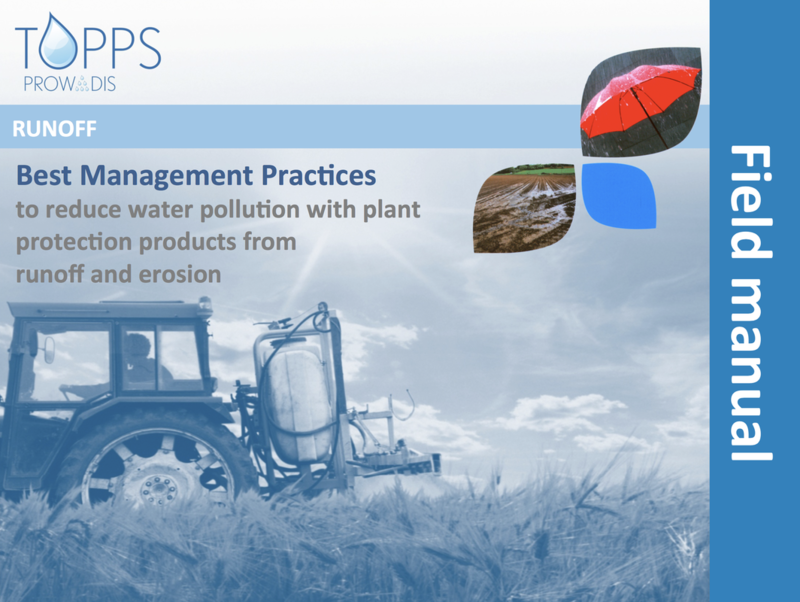 Best Management Practices to reduce water pollution with plant protection products from runoff and erosion. View TOPPS presentations given at various conferences and workshops. Verminderung von Pflanzenschutzmittel-Einträgen in Oberflächengewässer durch Runoff.